Mary is licensed in the State of Maryland for approximately 20 years. She holds a current Maryland Master Rehabilitator, Maryland Rabies Vector Species (RVS) Rehabilitator and Federal Migratory Bird Rehabilitator permits. Matthew is licensed in the State of Maryland. 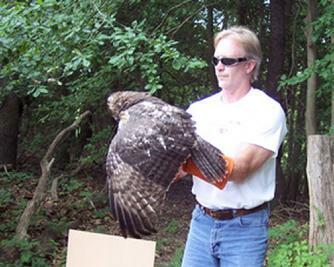 He holds a current Maryland Master Rehabilitator, Maryland Rabies Vector Species (RVS) Rehabilitator and Federal Migratory Bird Rehabilitator permits.